Elderly safety while in bed and during the night is something every caregiver will need to address. There are several reasons why the elderly may suddenly start falling out of bed. Always discuss any occurrences of falling out of bed or balance issues with a health care provider to eliminate the possibility of new medical issues or complications with medications. The most obvious solution is to install bed rails on your parent’s bed. Bed rails that only block the upper half of the bed are probably the best solution so that you don’t prevent them from getting up during the night to go to the bathroom. Also, you can increase elderly safety by pushing the bed up against the wall (on one side) so that you only have to install one bed rail on the bed. Sometimes bed rails are not desired by your elderly parent, or in the case of dementia it may confuse or unnecessarily stress them. An alternative is to use pool noodles tucked under and held in place by the mattress pad and fitted sheet. The pool noodle will define the edge of the bed and should prevent them from rolling up over it if they are moving around a lot during sleep. If your parent’s bed is large enough then using body size pillows (or multiple small pillows) along the edges of the bed can help reduce the number of falls by defining the edge of the bed. The pillows should be thick and fluffy so that they can easily tell that they’ve reached the edge of the bed when they roll over. If the size and space of the bed is an issue or if you’re elderly parent needs to sleep at a particular angle then foam wedges can be used. You can purchase them at medical supply stores or possible at some pharmacies. If installing bed rails are not an option, then lowering the bed so that the falling distance is reduced is also an option. This may not be the best solution if your parent has arthritis or some other condition that makes it difficult or painful to lower themselves into or up out of the bed. This may also make it a bit more inconvenient for you if you have to assist them or take care of them while they are in bed. Depending on the physical strength and independence of your loved one it may be time to switch their bed entirely for a hospital bed. Because of the ability to adjust the height of the bed, the angle of the head and feet as well as the built-in bed rails you’ll find it creates a much safer and more comfortable experience for your loved one as well as for you when caring for them. 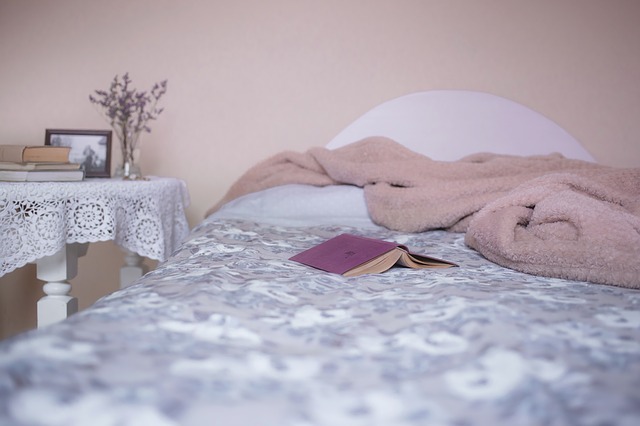 Sometimes falls happen, not because of the bed and/or sleeping behavior, but because of the items left around the bed prior to sleeping. Move any items away from the bed that may cause a tripping hazard during the night when the light is low or off. Many seniors need to get up during the night to go to the restroom, ensure a clear clutter free path to the light as well as the bathroom to prevent falls due to tripping. These are just a few ideas to increase elderly safety at night and in bed. Always discuss these types of issues with your parent’s doctor or caregiver they could have additional suggestions that may be more suited to your specific situation.